NYPOST: 2016 Facebook favorite: Meet the "PANK" – a Professional Aunt No Kids. Science Proves Why Aunts Get that Newborn Baby Smell High Just Like Moms! 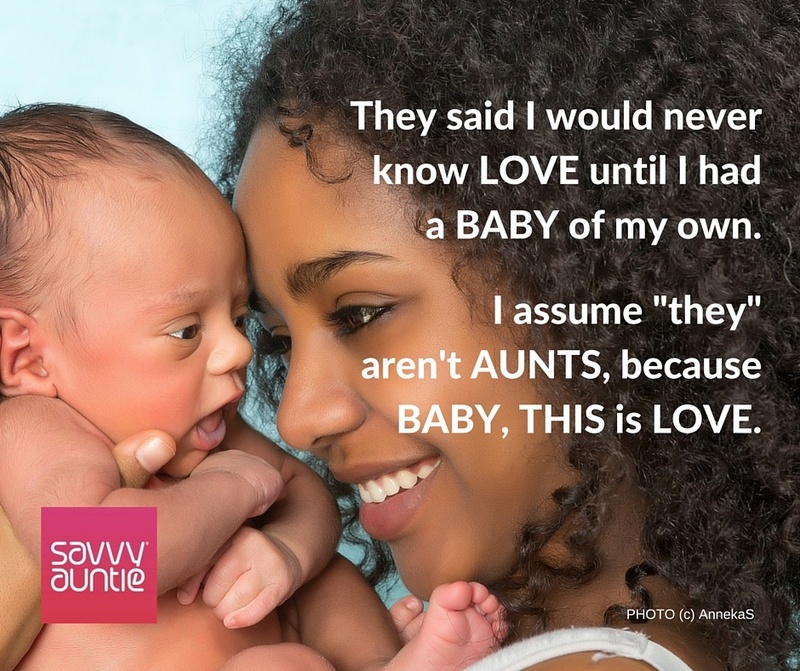 From the moment we hold them in our arms and smell their precious heads, most aunts feel an incredible connection with our newborn nieces and nephews. Some have said they couldn’t love the baby more if he or she were their own child. According to ScienceOfUs.com, it’s unsurprising. Research finds that the newborn smell triggers the same instantaneous bond in all women alike, no matter if we are the mother - or a mother in general. Not to say aunts needed any validation or proof of our bond with our newborn nieces and nephews, but this study affirms that all women have a natural, innate ability and instinct to care for newborns. Plus, it’s been shown that when we hold our newborn nieces and nephews, inhaling that intoxicating scent, our touch and affection is helping their brain development. The more loving maternal figures a newborn is surrounded by, the better for that sweet-smelling baby. Our intimate moments with them are a lot more than just a cuddle session! Home Expertise Science Proves Why Aunts Get that Newborn Baby Smell High Just Like Moms!